Platforms (also known as wraps or fund supermarkets) are online services designed to help you run your investment portfolio (sometimes at extra cost). Most platforms are designed to be used by financial advisers, although some are available to consumers direct. As a result, different platforms provide different services and their charges will vary. Platforms aren’t right for everyone, but if you decide they are right for you, find out the costs and benefits before you or your adviser decides on a platform. or sometimes, offer tools to help you research funds and decide the asset allocation for your portfolio. Some platforms are owned by life assurance companies, others by fund managers or technology companies. And some financial advisers own their own platforms. It is important to know who runs a platform as this can affect which investments you can invest in. Transfer charges – if you have existing investments, you may be charged an exit fee (by the firm you originally invested in) if you decide to transfer them to the platform. Platform charges – you may have to pay an initial fee for every investment you make using the platform. There may also be an annual fee for holding investments on it. Advice charges – your adviser may charge you for their advice in relation to the platform. Exit charges – if you decide to move your investments from the platform in the future you may be charged to do so. Investment charges – the investments you hold on the platform may have initial and ongoing charges of their own. All of these charges can add up, so make sure you understand the total charge that will apply and are happy that it is worth paying. Your ability to take money out of investments held on the platform will largely depend on the type of investment product used rather than on the platform itself. Many investments have exit charges, particularly in the early years. Once you hold investments on a platform you may find it is hard to move them to another firm in the future. You may have to surrender each investment and buy a new one rather than being able to move your existing investments to either a new platform or directly to a provider. Using a platform does not change the tax position of the investments you hold on it. So if you have a pension or an ISA on a platform, they still benefit from the same tax advantages. Before you invest on a platform you should carefully consider whether it is suitable for your circumstances. Sometimes a different investment method might work better for you. Think about the following when considering whether a platform is right for you. Why use a platform? – platforms can help to simplify administration of your investment portfolio and/or provide additional services but, in some cases, you may have to pay extra for this. Check whether there will be charges for this, and if so, are you happy to pay them? Remember that higher charges are likely to reduce the returns on your investments. Choice of platform – check how the platform you will use has been chosen. Based on the information you have received, does it cost more or less than other platforms? If it costs more, is this offset by additional benefits or access to lower-cost products? What investment limitations do you face as a result of using this platform rather than another? What would happen in the event that you need to make a claim to the FSCS? What level of service will you receive from your adviser? Conflicts of interest – if you have an adviser, ask whether they receive any payments (such as commission) or benefits (such as share options) from the platform operator. Sometimes these benefits to an adviser can encourage them to recommend the platform even if it is not in your best interests. Charges – make sure you understand all of the charges that you will pay on the platform and the investments held on it. Commission – if you are getting advice, ask how much commission your adviser will get and how much they would receive if they made a different recommendation (such as for the same investments not held on a platform, or for an ISA held outside of a platform). If the recommendation means that you are paying more commission, ask what extra service you are getting for this money and why the recommendation is in your best interests. Make sure you are happy with the answer. Ask if the commission pays for advice for the lifetime of the investment. There is nothing wrong with asking the adviser about commission. It is your right to know if they are receiving a commission on the advice they are providing you. Moving to a new platform in the future – check whether you can transfer your investments to another platform in the future if you want your investments administered by someone else. Some investments can be transferred, and this avoids having to sell and buy them back if you want someone else to administer them. Check what the platform will charge you to transfer your investments elsewhere (this process is called re-registration). The disadvantage of selling then buying back your investments is that you may have to pay transaction charges or lose out if the value of your investments goes up between selling and buying them back. You might also have to pay tax on capital gains (the profit you have made from your initial investment). So think carefully before using a platform that does not allow you to transfer your investments elsewhere. Make sure you are happy with the investments that are to be held on the platform. For example you should make sure that you are happy with the level of risk you take with them. If you already use a platform, you should regularly check to see how your investments are doing. If you have an adviser you could ask them for help, but check if this will cost you any money. It may be that they have already agreed to provide ongoing reviews paid for from commission they receive. Check whether you are getting the service that was agreed. If you were advised to use a platform because it allows your adviser to provide you with an improved level of service, and especially if you are paying to use the platform, make sure that you are getting the agreed service. Check regularly whether the investments remain suitable for your current needs. If your appetite for risk has changed, you may feel that one investment is likely to do better than another in the future, or you might want to rebalance your choice of investment funds. Remember that you may face new initial charges (and possibly an exit charge on some funds) as well as a Capital Gains Tax liability if you switch funds. Consider making use of your annual Capital Gains Tax allowance. If your investments are not held in tax wrappers such as an ISA or pension, you may want to use your annual Capital Gains Tax allowance each year to minimise any Capital Gains Tax liability when you withdraw your money in the future. 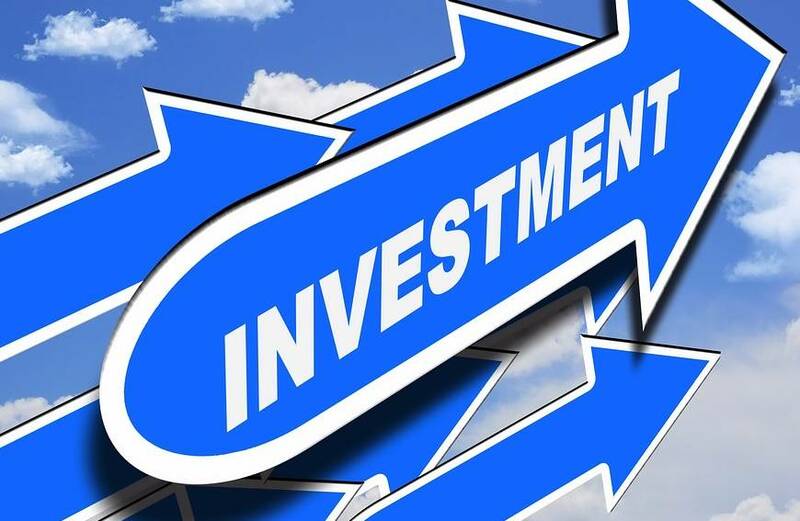 By cashing in some of your investment each year and then reinvesting the money in a new investment, you may be able to reduce any Capital Gains Tax liability in the future. You are likely to pay new initial charges if you move from one investment to another (and you may have to pay an exit charge on some existing investments). Charges may be lower if you switch funds within an existing investment held on the platform rather than starting a new policy with new set-up charges. If a UK financial services firm is unable, or likely to be unable, to pay claims against it you may be able to get compensation from the Financial Services Compensation Scheme (FSCS) – see Compensation. If you need to make a claim to the FSCS, you might find that you do not have the same right to compensation if the investment is held on a platform as you would if you held the same investment directly. Ask the owner of the platform or, if you are getting advice, ask your adviser what would happen in the event that you need to make a claim to the FSCS.